Psst, your sommelier is hiding something from you–while white wines are great, one of the best pairing choices for oysters and seafood is Japanese sake. That’s why we’re on a mission to let the world know oysters and sake play so well together. Join Element Seafood and SakaMai for a unique oyster and sake pairing event at NYC’s first dedicated sake lounge (157 Ludlow St at Stanton) on Monday, May 6th at 6:30 pm. In a casual, approachable setting, we’ll explore a wide range of sakes (some with unusual yeasts and filtering techniques) and taste a diverse selection of oysters from the East and West Coasts, from creamy to briny to metallic. 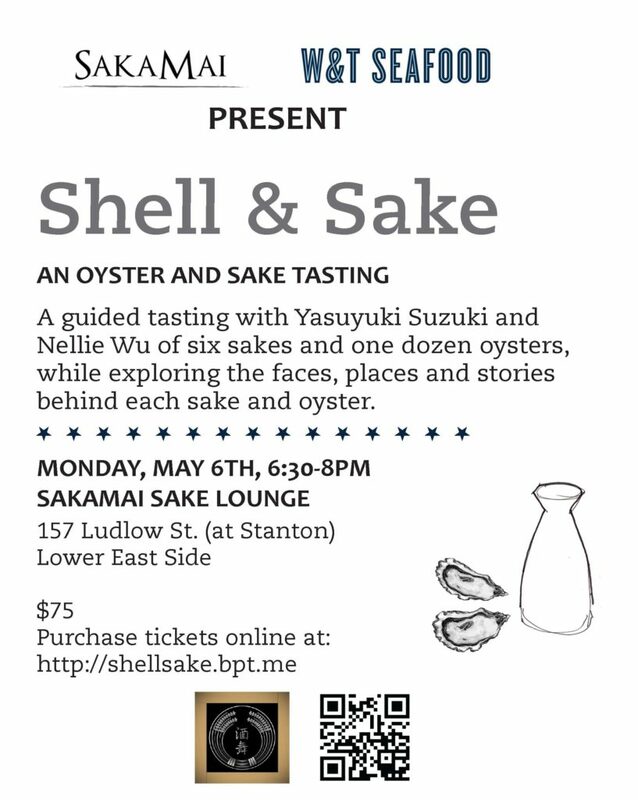 Yasuyuki Suzuki from SakaMai and Nellie Wu from Element Seafood will guide you through each pairing, while sharing the faces, places and stories behind each sake and oyster. Bring your questions! Tickets cost $75 and include one dozen oysters (2 each of 6 different types) paired with 6 sakes. Space is limited, so be sure to purchase your ticket sooner rather than later. Note that you must be 21 to attend.